A wave of the long, fat, Freudian cigar to Dr. X, who found that Jason Jones at Bookslut is re-reading his Standard Edition (24 books), at the pace of one book per month. What is most worthwhile about reading Freud, preferably with a guide of some sort, is watching a powerful mind at work, searching for patterns and understanding, having ideas, then rejecting them, revising them, and often just getting stuck.�Looking for a path through the wilderness of the soul. Book 1 includes A Project for a Scientific Psychology, a remarkable effort in which he admittedly reached a dead end, and asked for the manuscript to be burned. Jones' reflections on Book 1 here, and Book 2 here.�We will try to keep up with these as they come out. 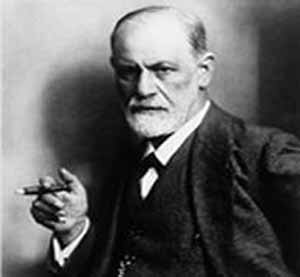 Comment from Dr. Bliss: It is a sad fact that Freud's thinking, over time, has become deeply misunderstood, trivialized, misinterpreted, abused, and misused - and his errors magnified. His goal, most simply put, was to create a framework�for understanding the irrational in mankind, with the hope that this might help individuals gain mastery over their lives and their destinies. His goal seems to align with that of Abraham-Hicks. They are a pair who I have recently discovered and have some interesting philosophies on human existence. I didn't want to post links and appear to be a spam-bot. Note: Their "methods" are much less scientific and more philosophical and 'spiritual'. It may not be your cup of tea, so-to-speak. But their goals are the same.